TreatWell boosts about having over 13.000 salons using their system to accept appointments and to take care of scheduling needs. They are present in many countries and are owned by a Japanese group that runs a similar booking system in Japan. Unfortunately for TreatWell it seems that Salon owner satisfaction is often dismissal and the salon client’s satisfaction even more so. There seems to be 2 main reasons for this frustration of TreatWell salon users and clients. 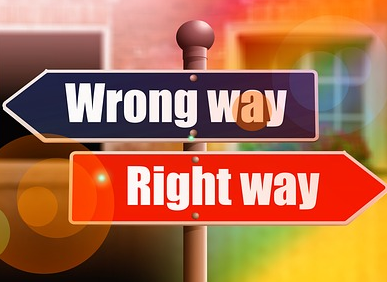 Often bookings through TreatWell are not reflected in the Salon booking system causing the clients to show up without being book or having their booking cancelled shortly before appointment should take place. Another cause of distress is from the salon owners that apparently pay TreatWell a portion of the cost of each appointment made through them. This percentage seems to cause the salon owners to rather prefer clients to book directly with them rather than through the TreatWell system. 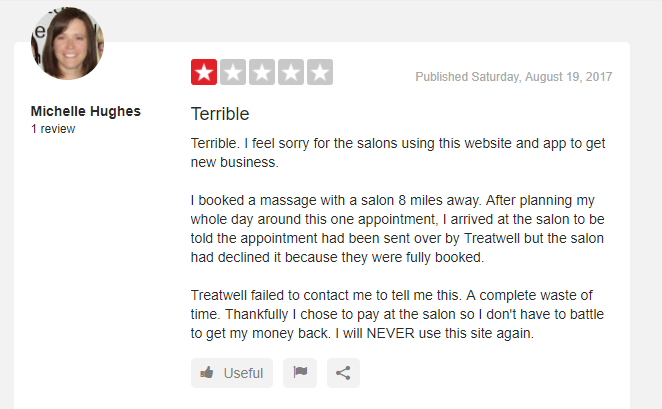 Salon owners also complain about how TreatWell operates. You can visit TrustPilot to read the reviews your self and evaluate why they are getting so many bad reviews from both clients and salon owners. Salons and others who are now using TreatWell should be on the look out for an alternative system and SimplyBook.me is definately a system worth looking at. There are NO FEES calculated of the cost of bookings made through the system. You can create your own promotions, make them social through your existing clientele and you pay nothing to a third party like TreatWell when you run a successful promotion. The prices at SimplyBook.me are low and fixed per month. See pricing table here. SimplyBook.me has tens of thousands of users and 4.5 stars in reviews by satisfied system users.